Homer Ayers was born and raised in the small town of Alderson, West Virginia and he was incredibly proud of his home state and thought of it fondly. He published a book of short stories based on his childhood experiences in which the town and the eccentric inhabitants were mythologized. After graduating High School and serving his duty in the Air Force, Homer moved to Knoxville, Tennessee to further his education. It was there that he met the love of his life and best friend, Laura Gamble Ayers. He went to work for Fireman’s Fund Insurance Company and they started their family. Several years later he attended Nashville School of Law and graduated 2nd in his class. Instead of joining a firm, Homer wanted to be his own man and started his own law firm and fought passionately for those in need. He hated injustice and did his best to serve his clients and make things right by them. He was active in the local Chamber of Commerce and served as City Judge for many years, much to the chagrin of his adolescent children. He was a life long UT Vol fan and vowed at the start of every season that this would be “The Year”. He was apparently delusional. Homer was a kind a generous soul, full of humor and laughter. He loved his family and friends, especially his grandchildren. He was a good man who will be missed dearly. He is survived by his wife, Laura; son, Christopher and his wife Jackie and their children Samuel, Madelyn and Emerson. He was preceded in death by his parents Homer and Nell (Hunter) Ayers; his daughter, Shannon; and his siblings, Lavenia Eggleston, Sheldon Ayers and Ethel Wilson. A life celebration service will be held Friday, June 8, 2018 at Goodlettsville Cumberland Presbyterian Church. Visitation will be at the church from 12 to 2 PM immediately prior to the service. In lieu of flowers, the family asks that donations be made to Nashville Rescue Mission or Goodlettsville Cumberland Presbyterian Church. Also, flowers gave him a headache. Laura: We are so sorry for your loss. HR was a man of strength and strong beliefs who never lost his dedication to his profession. It was our pleasure to know him through the years at Rehoboth. Laura and family, I am so very sorry for your loss. HR was a dear friend that will be missed, especially at the YaYa parties. He will always be our Grand Wizard. It was through grief that I came to know this beautiful couple. We met in a grief group and consider them part of our family now. And it is not good bye , but so long for now. He was always so much fun and a wonderful full friend! Laura: We are so sorry for your loss: We will never forget, as our attorney, how H R was concerning our daughter Kristy . Love and Prayers to you and your family. .I loved Homer. He was my divorce attorney and I remember how he fought for me, he told my x he was leaving me in poverty and fought and won. Also remember the fun times at Elders Pharmacy during football season, always which team , Auburn or Tennessee was the best .Homer worked a lot at the chamber with my sister, Marie Tinnon, she dearly loved him. Homer will be missed. So sorry Laura. Laura, so sorry for your loss. I remember so many good times with you and HR in our theater days. Thoughts, hugs, and prayers to you. My heart was broken and heavy when I read Homer died on Tues. I had just talked with him a week ago asking his opinion on a Real Estate matter. Homer and I tried our first Jury trial against each other in Judge Steve North’s court many years ago. He took me to the woodshed. 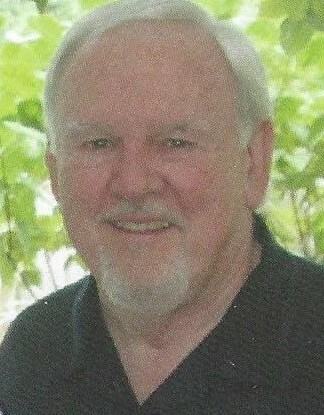 He was a mentor to me in Real Estate matters and Probate. He would stop by the Office from time to time for notary service and I enjoyed his visits. The legal profession has lost a truly good lawyer. Laura, So sorry to hear about Homer passing away. I enjoyed all of my conversations with him. We first met when I worked at The Men’s Wearhouse” years ago. He loved to come in and tell me how overpriced the suits were and give me a hard time (always in a fun way). Homer would refer to me as “George, Jr.” referring to George Zimmer…the Owner and CEO of The Men’s Wearhouse). I used to tell him I wish I was George Zimmer’s son because then I wouldn’t have to work and put up with Homer’s antics. I would tell him that he needed to part with some of his money he made from his “expensive” attorney fees and he would usually buy some new article of clothing from me. Homer Ayers always took great pride in looking his best and wearing nice clothes. I’m glad that I got to reconnect with Homer and you during my time at GCPC. I’ll never forget his “booming” voice or his caring heart. I remember his eyes filling up with tears when he talked about the loss of his child. I will always remember him fondly and will pray for you and your family as you grieve your loss. Sending love and a big hug your way today. Mr. Ayers was a dignified man of respect and I always knew him as Shannon’s father, the attorney and judge. Several years ago, I was working with my family’s insurance business. .My husband Alan had the extensive knowledge and experience and I always referred people to him for important matters. He encouraged me a bit that day by telling me that I could help him just fine. He was always kind and humble to me. I appreciated that because I always respected him and his position. I also had compassion for him knowing he lost Shannon. Many prayers for your family Mrs. Ayers. Laura, I was very sad to learn of HR’s passing. I was extremely fond of HR as were all of his Alderson boys , notably Jim Rowe, My dad was his high school football coach and I got together with him a couple of times when I would come to Nashville to see a soccer game. I thought his book of Alderson stories was one of the best books I have ever read and HR gave me the honor of reading a proof and commenting and later asked me to write an introduction for the book. He wrote beautifully and had a special understanding of human beings. We were looking for a picture of him And the picture on this website was fabulous. He was a wonderful ,unforgettable, dear man. You and all who were close to him are in my prayers. I’m so sad to learn of your loss. HR was an unforgettable character in my life as I decided to get involved with community theatre again. My experience with “Oklahoma” at Mansker Players in 1988 introduced me to not only Laura but also HR, Shannon and Chris, as well as dozens of dear friends who I still cherish today. Homer was always kind, generous, and very funny, with a twinkle in his eye. I enjoyed the Ayers hospitality quite a few times and always looked forward to being in their sweet home. My prayers are with you as you learn to live without him, just as you did when dear Shannon left you. I wish I had known earlier and sorry I missed the celebration of HR’s life. Please take care and stay in touch. Laura so sorry to hear of Mr. Homer’s passing. He will be so missed. He was a great Attorney and a good, kind compassion man that I trusted for advise and a friend. Also Laura you are a great wonderful person as well. I so remember your kindness when I met with Homer after the passing of my husband in late 2014. Praying for you with much concern and Love.